FLiP: Uli Meyer introduces his new book - "Cuthbert was bored"
Uli Meyer introduces his new book - "Cuthbert was bored"
Uli Meyer is an animator, director, designer and now children's book author. He has worked on countless animated film projects including Who Framed Roger Rabbit?, An American Tail and Space Jam. His studio Uli Meyer Animation was for many years one of London's leading independent animation studios. 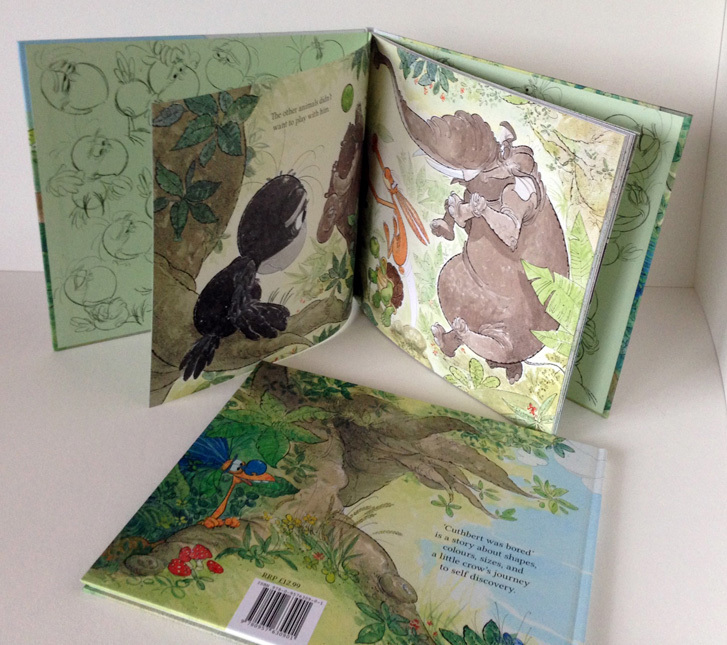 Recently Uli has been focusing his efforts on writing and illustrating children's books. His new book, Cuthbert was bored, has just been published. FLIP: You have just published a new book - tell us about it! 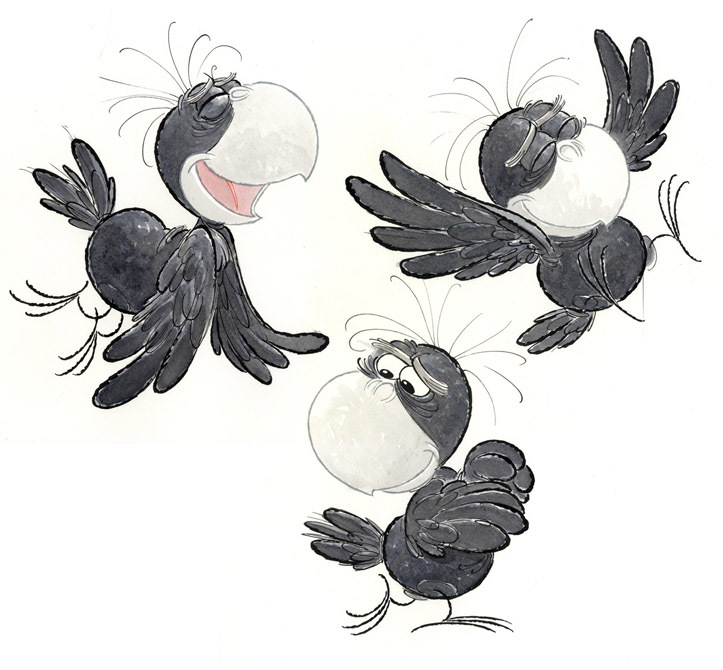 Uli: Cuthbert was bored is a picture book about shapes, colours, sizes and a little crow’s journey to self-discovery. 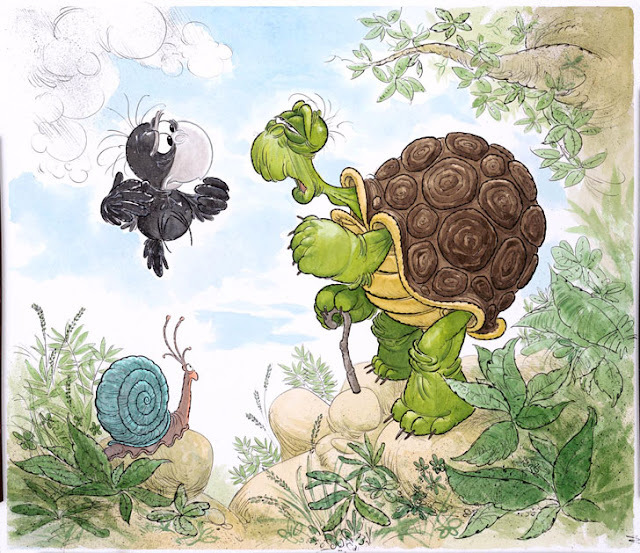 It is a very simple story for 3-7 year old children, told mostly in pictures and very few words. And it is recommended to read it to your child and ask questions. The answers you get might surprise you. 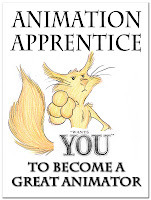 FLIP: What made you abandon animation for book publishing? Uli: I would like to stress for the benefit of your readers that I have not abandoned animation, far from it. What I have abandoned is running a commercial animation studio, consuming overheads and soul-eating client comments. I am still producing animation but on a different scale and only projects that interest me. But maybe that is a subject for another day. Even though my background is in animation, illustration has always been a passion of mine. Especially anything to do with traditional media like pen and ink, water colours, acrylics and other tactile, non-digital drawing/painting methods. I decided to have a go at writing and illustrating that picture book that I always wanted to do for my kids when they were little. It is a little late since they are almost all grown up now, but nevertheless, I wanted to get it out of my system. And the other reason was to teach myself something new. As a traditional animator, your drawing habits are about simplified shapes based on designs with a clean pencil outline. Somebody once said that animation can ruin your drawing potential and in some ways I agree. Oscar Grillo pointed out to me once that an animator can't do a drawing without thinking about the one that follows next. And that is so true. I still have a long way to go to unlearn those pesky animation drawing habits. The illustrations in my book are still very much animation-influenced, even though most of them were drawn straight ahead without any construction drawings. FLIP: How easy/difficult has it been to get published? 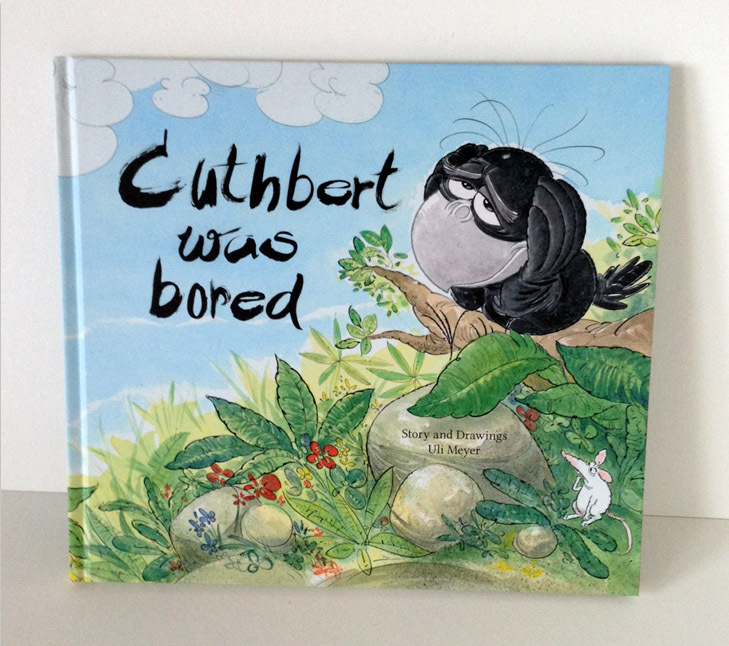 Cuthbert was bored was made possible by the generous support of 217 backers of a Kickstarter campaign. I now face the daunting task of marketing my book. The success of it all depends on getting it out there and create awareness. FLIP: How did you get to meet Ronald Searle and how big an influence has he been on your work? Uli: As long as I can remember, Ronald Searle’s work has been a huge influence on me. I am quite possibly his work’s biggest admirer (apart from Matt Jones) and somewhat obsessed with collecting original Searle artwork. The obsession has both been a blessing and a curse, since on the one hand I have been inspired to experiment with pen & ink, and on the other hand there is a danger of sometimes neglect one's own artistic identity. A few years ago Matt Jones interviewed Ronald Searle for his blog (http://ronaldsearle.blogspot.co.uk), and he got an invitation to visit him again and bring a friend. That lucky friend was me. During the next few years we went to visit him and his wife Monica often at his home in Tourtour. Sadly in 2011 first Monica and then Ronald passed away. FLIP: What advice would you give to anyone looking to publish an illustrated children's book? Uli: The first advice is to buy the Children’s Writer’s & Artists’ Yearbook, which tells you everything you need to know. The other advice is to believe in your project and persevere. The publishing industry is no different from any other media business aiming their product at children. They have to appeal to parents who are the ones spending the money, but their audience is the children. When a publisher has a successful property, it is less of a risk to back a book that is similar to that success. Publishing is a business and people do not like taking risks. When I conceived Cuthbert, I had no idea what the trends were in children’s book publishing and my book doesn’t seem to fit any publisher’s catalogue. I would not have done anything different though because I can’t bend to a trend if that is not who I am. So far I have had a lot of wonderful responses to Cuthbert from my backers and the people who have bought the book, and if I continue to sell copies and succeed in marketing it properly, a publisher might eventually see the potential. There are many success stories out there where the author persevered on their own, without the initial support of a publisher. It is a lot of hard work and if you are not prepared to invest a lot of your time, don’t do it. FLIP: Where can we buy your book? (Editor's note: You can also read our interviews with other animation authors such as Matt Novak, author of many children's books, Tanya Fenton, author of 3 Silly Chickens, Vladimir Todorov, author of a new eBook, Stephan Franck, author of the graphic novel Silver, Sydney Padua, author of Lovelace and Babbage, and Tom Sito, author of the History of Computer Animation).